Good quality, light fridge, very efficient and easy to set and use. The fridge is a perfect fit in the back of my 76, has worked perfectly so far, a bit confusing and annoying getting the app going but now that it is I can control the temperature from my phone which is great. It is also very quiet. I originally bought the 60L side opening fridge which was too big and I couldnt open the lid properly because it hit the top of the back door frame. So i sent it back and got this fridge instead without any dramas. Refund for the difference in fridges came through instantly, couldnt be happier with the concern these guys showed for my purchase. I can’t fault this fridge. It works perfectly. Runs perfect on 240 or 12 volt. Gets cold quick and stays cold all the time. Overall a great fridge. Keeps cool and has great features. Quick and easy deal with. I purchased a TMX Travelmate 50. This amazing Evakool product delivered on all expectations. 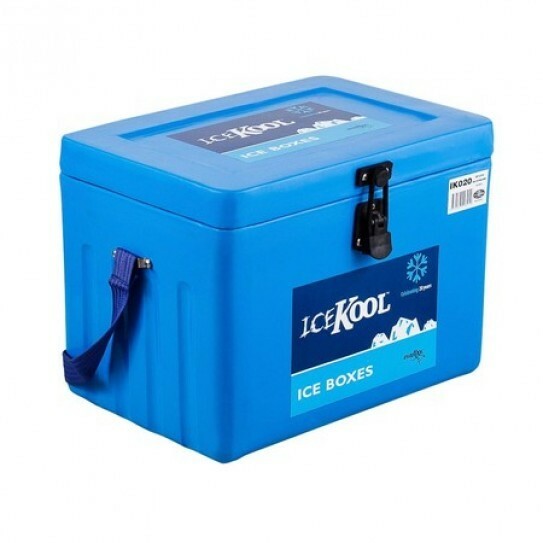 Currently FREE with the Evakool TMX 50 Litre Fridge Freezer Pack is a Evakool Icekool 20 Litre Icebox! Evakool TMX50 Travelmate, 50Ltr End Opening Fridge Freezer inc. Cover, 5yr warranty. TMX Travelmate, the fridge for people on the move. Both models have a capacity of 50 litres and have the same specifications. Thanks.